Just the thought of pizza on the grill makes my mouth water. 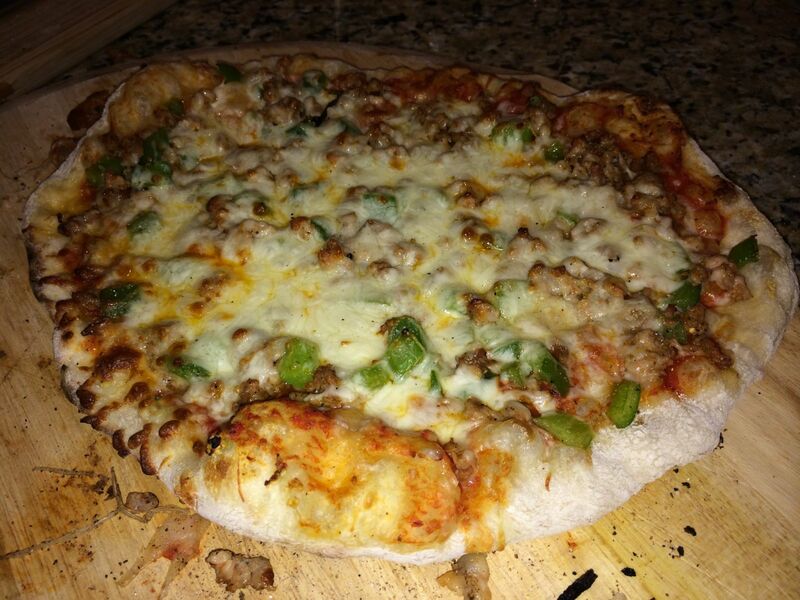 When anyone ever asks me what my favorite thing to cook on the grill is, it’s an easy answer – pizza! I started cooking pizza on the grill years ago, and have never looked back. When we have anyone over to our house for the first time and I need to cook something, pizza is the go to food – especially on the grill. It’s the one food during cooking events that creates so much excitement and response. And people literally just freak out! They can’t believe you can actually grill a pizza right on the grill. But once you have tasted pizza off of the grill, you will be hooked and might not go back to ordering out or buying a frozen pizza. You see, it’s easy, it’s incredibly delicious, its super creative, and it’s so much fun! 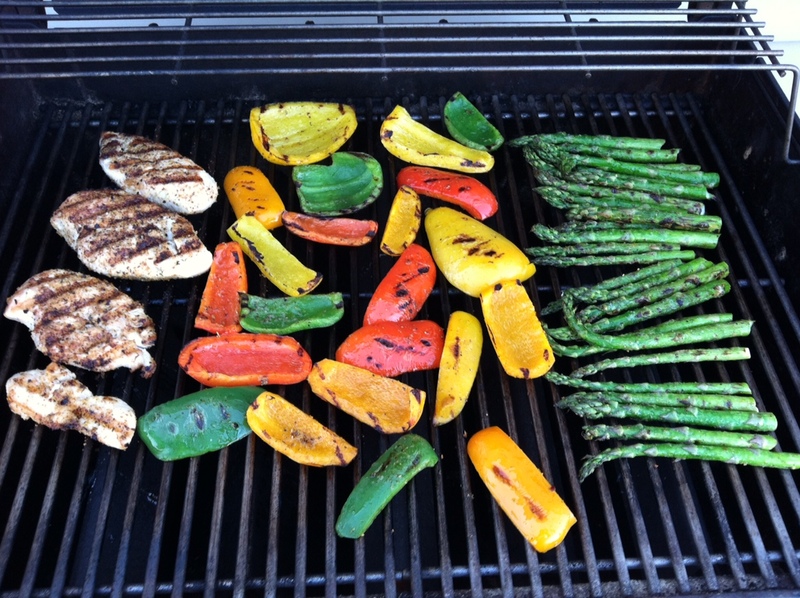 Remember, always preheat your grill and get those grill grates nice and hot. Roll out the dough, rub some olive oil on the dough, and flip it directly on the grill grate. You heard me correct! Yes, and it won’t stick. Close the lid and let it cook for a few minutes. 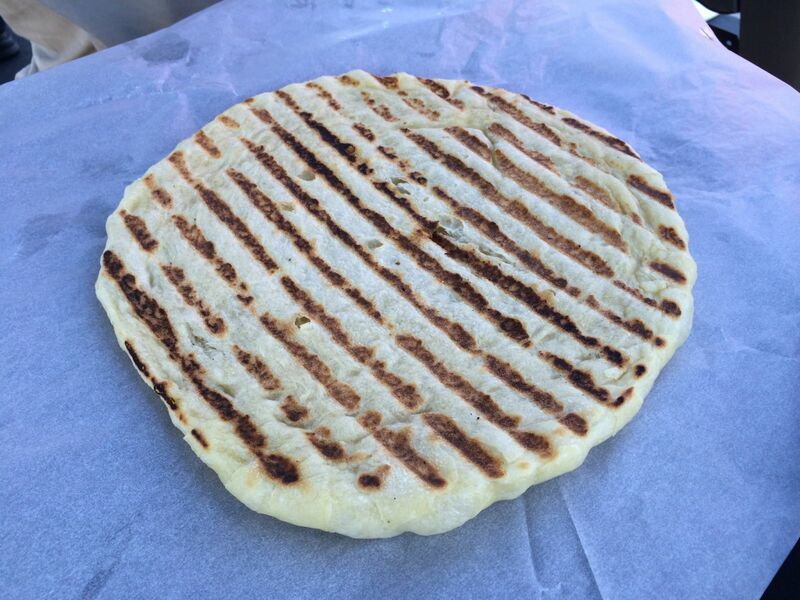 It will “puff” up after a few minutes and you can remove it from the grill and flip it over and you will see those beautiful grill marks that add wonderful flavor to the dough! And sometimes the dough doesn’t come out exactly round, and that’s ok! Who cares. Now your ready for some toppings – which you can grill separately (even better!) to enhance flavor and depth even more. As far as toppings go, I love everything! BBQ chicken pizza is my favorite and I substitute bbq sauce for pizza sauce, but I also love sausage, pepperoni, pesto sauce, and I love Margherita pizzas! 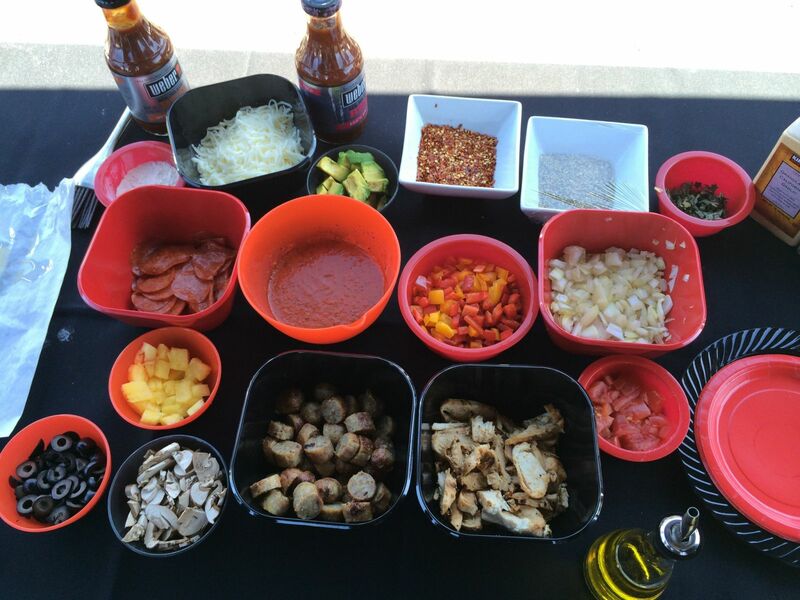 One of my favorite ways to entertain is to have pizza parties, where you have all kinds of toppings assorted in bowls and let everyone make their own personal pizza! Then after you have chosen your toppings and have decorated your pizza, you place it back on the grill and give it a few minutes – especially if you want that juicy bubbly cheese on top! It’s that simple. You now have a wonderfully unique, creative, and delicious pizza that will taste better than anything you have ever bought or ordered. The great thing about pizza is that it’s you! It’s an extension of your personality. Make it whatever you want, as your options are endless. You’ll never make 2 pizzas exactly the same and that’s the beauty of it. I hope you give this a try and see for yourself what this does for your confidence level and your love for grilled pizza!